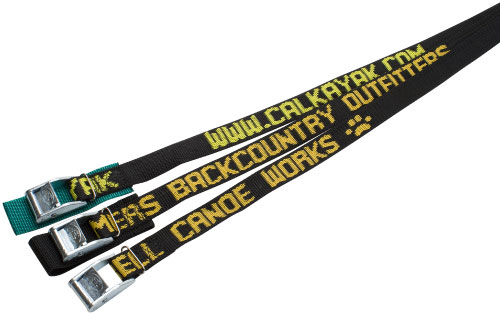 Your customers will have an easy time keeping you in mind when they buy straps with your name woven into the webbing! Have your name, phone number, and/or website woven into the straps you sell. Buy the webbing and we will make your straps as needed. FREE buckle pads with all custom webbing orders. Single layer, double layer, or color-coded for size.